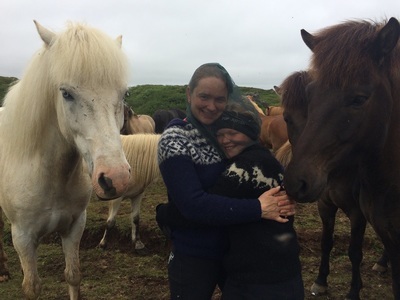 We received an endearing letter written by Ingunn, 16 year old daughter of our partners Ingólfur and Unnur Erla at Dýrfinnustaðir farm. 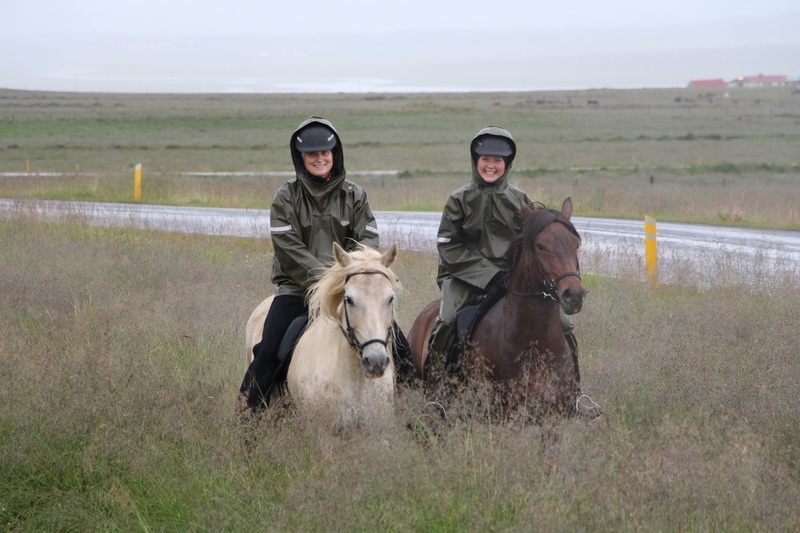 We had asked them previously to give our guests a little insight into their daily life at their horse farm in the beautiful Skagafjörður district in North Iceland. The fjord Skagafjörður is a about 40 km long and 15 km wide, situated between the mountain range of Tröllaskagi to the East and the Skagi peninsula to the West. There are two municipalities in the area with roughly 4.300 inhabitants. 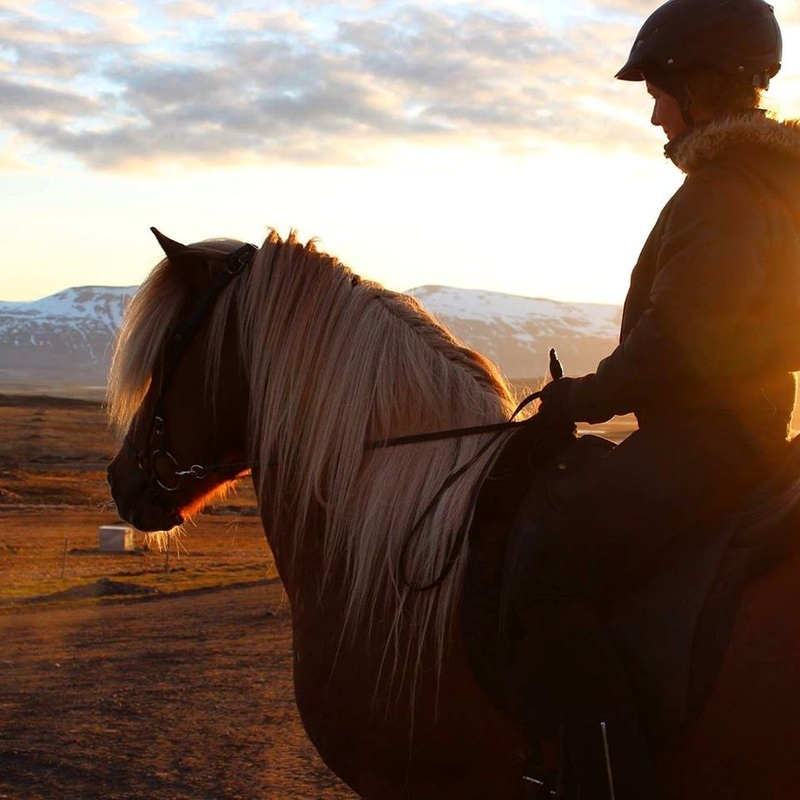 This area is one of Iceland's most prosperous agricultural regions, with widespread dairy and sheep farming and above all it is renown for its famous horse breeding. Many historical breeding farms are found in Skagafjörður and names like Kolkuós, Svaðastaðir, Viðimýri, Enni og Hofsstaðir sound like church bells in the ears of many Icelandic Horse lovers. 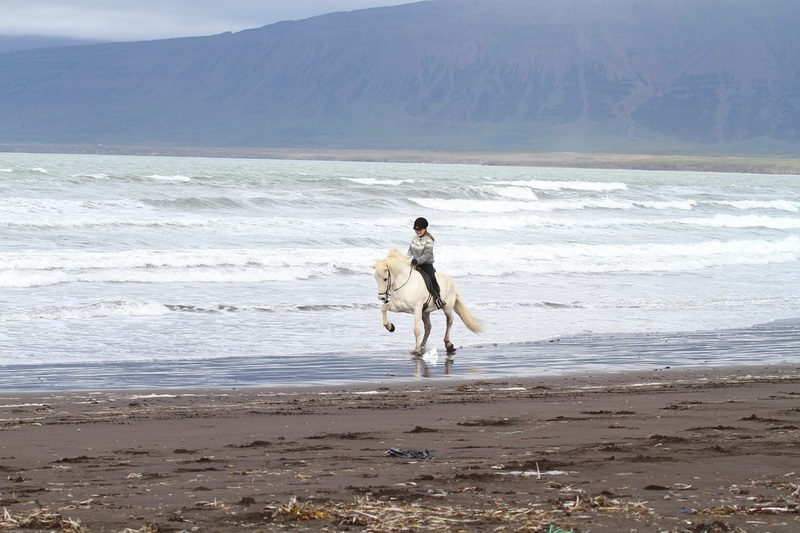 The region also has a great reputation for beautiful choir singing, natural horsemanship and great hospitality! 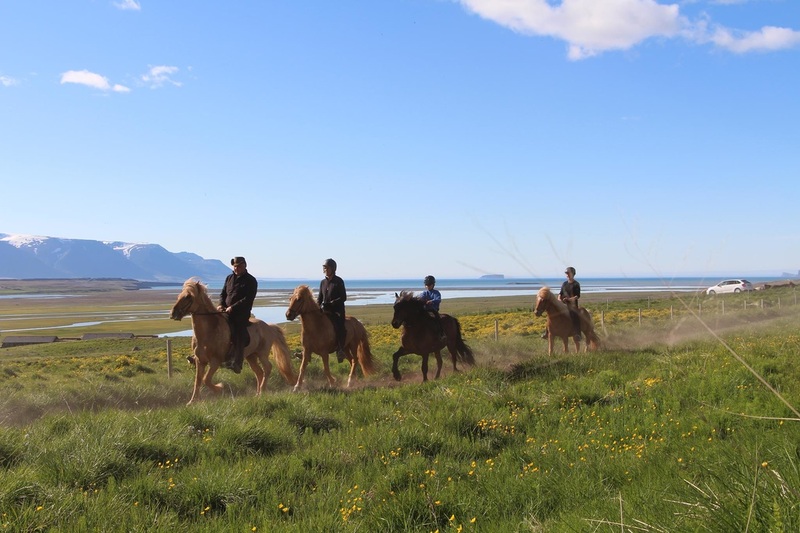 The home of the family is at Dýrfinnustaðir farm, settled right between some of the historical breeding farms and with beautiful views over the Héraðsvötn river valley. 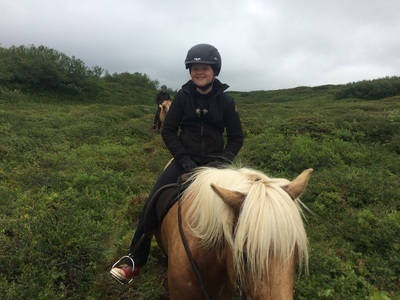 Behind the farm steep mountains rise up to over 1000 meters and beautiful places like the famous Kolbeinsdalur Valley and Hjaltadalur Valley with its famous Laufskálar Horse Round Up and Hólar Equine University are nearby. My name is Ingunn and I am the daughter of Ingólfur Helgason and Unnur Erla Sveinbjörnsdóttir. I have two younger siblings that still go to Grammar (High) school. I am myself studying at the Fjölbrautaskóli Norðurlands Vestra College and I am specializing in Equine Studies. 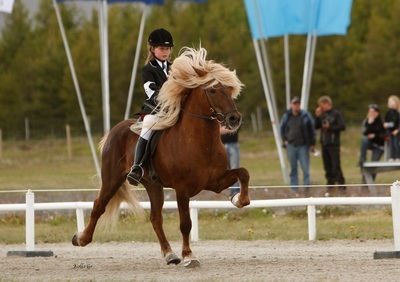 I was born in 2000 and have always had a passion for horses since I was a small child. I have been competing on horses for a long time, especially with my stallion Hágangur frá Narfastöðum. He has taught me a lot. 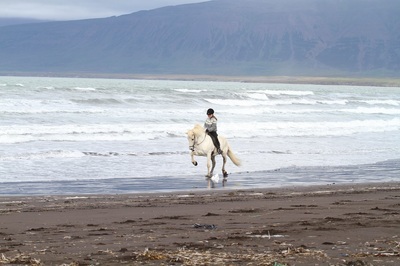 The first time we rode together in public was at a horse show at Sauðárkrókur in 2004. 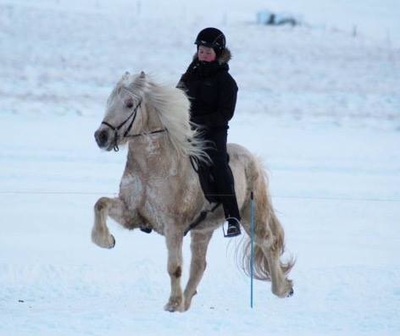 I was then just four years old and he was a 7 year old stallion. We have have a wonderful relationship and he is my dear friend! Together we have had much success at many competitions such as at Landsmót 2011 when we won the B finals and reached the 3rd place in the finals of overall 90 competitors. A wonderful experience. Since then I have competed at Landsmót 2014 (31st place) and this summer reached 14th place in a very strong Young riders group with Ljóska frá Borgareyrum, a daughter of my stallion Hágangur. 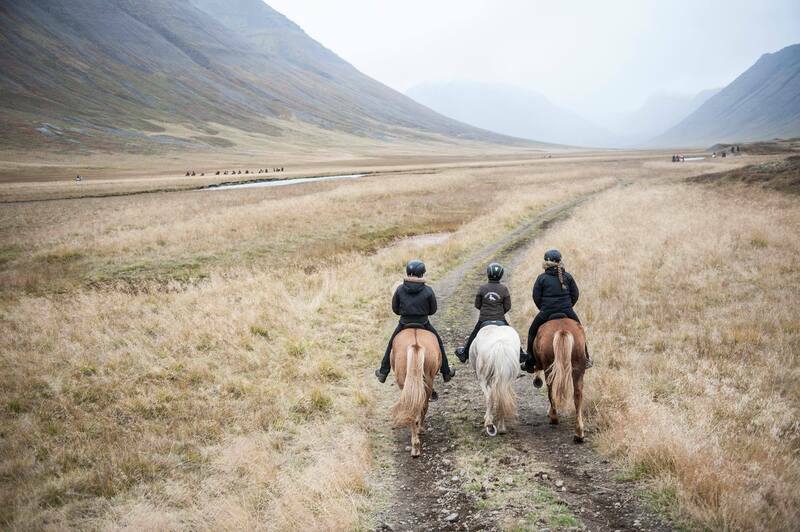 But the most fun thing about horsemanship in Iceland are the riding tours, to be outside in our wonderful wild nature with good friends and outstanding horses – what could possibly be better? Björg, my little sister, was born in 2003. A small bundle of joy! She has also a lot of love for horses and rides like Winnetou, the famous fictional Native American! 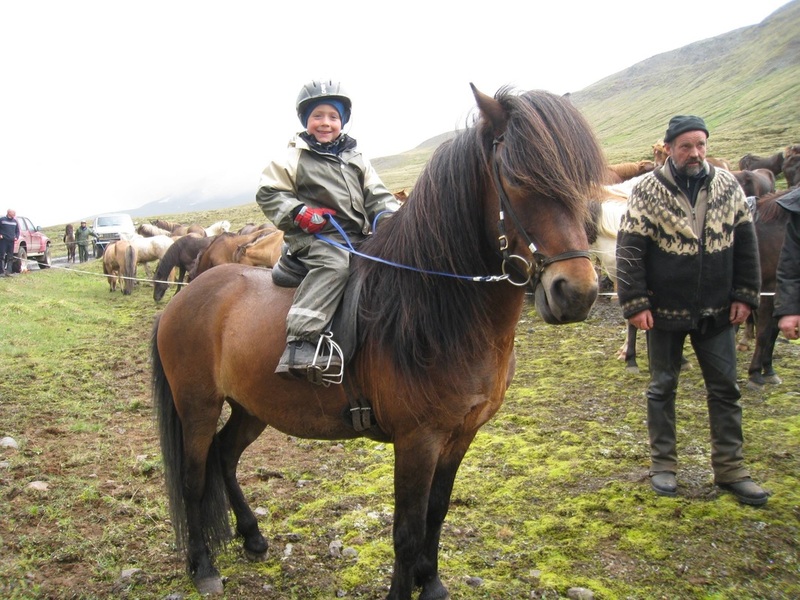 Björg loves to ride bucking horses and to go on long trailrides. She has been competing a lot too. 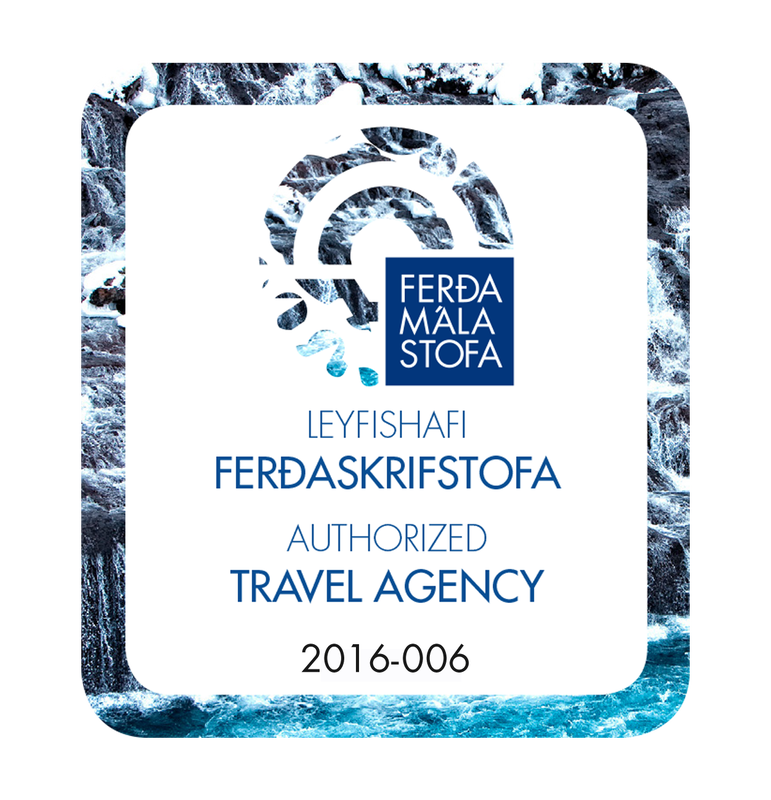 She reached 5th place at Fjórðungsmót Vesturlands 2013 and has participated at Landsmót 2014 and 2016 with amazing success. Trausti, my little brother, was born in 2006. He is a treasure! Trausti loves everything to do with farming, tractors and all kinds of agricultural equipment. He dotes on his horses, sheep, dogs, rabbits, calves, goats and chicken. 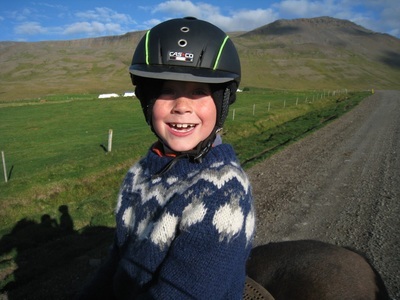 Loves riding and collecting his sheep on horseback in autumn. 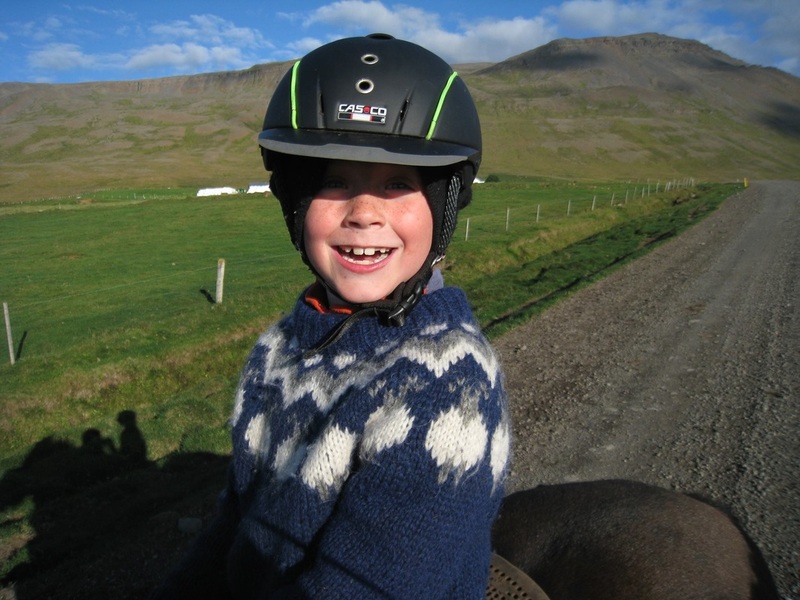 He is a true child of nature – loves everything about the outdoors and started competing when he was just 7 years old with great success on Hnokka frá Dýrfinnustöðum. Ingólfur Helgason (my dad) was born 1969. 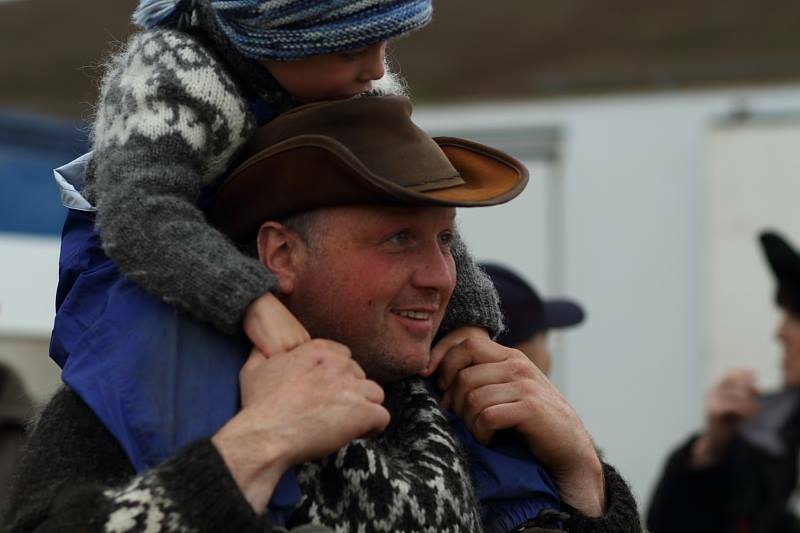 He grew up on the farm Úlfsstaðir in the Akrahreppur community. My dad has been a horseman since he was a small kid. 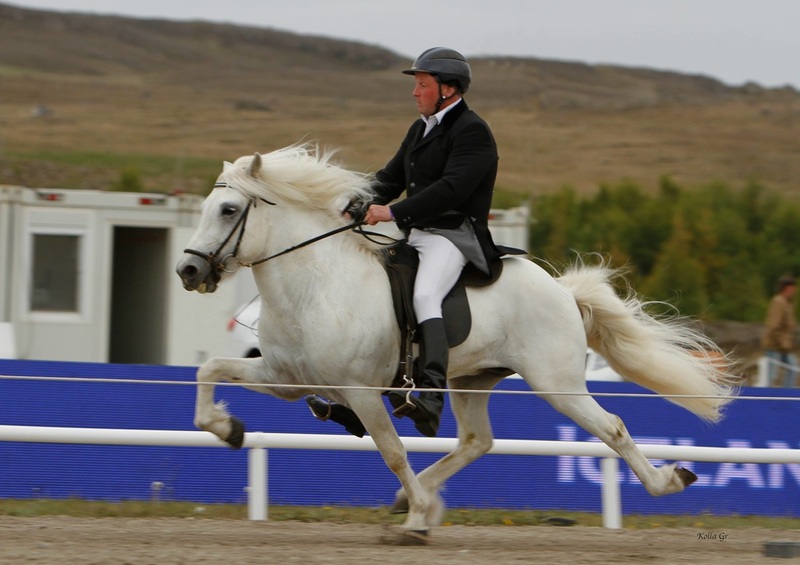 He has been very successful as a breeder and has bred a lot of Premium horses and competed quite a bit himself. For a few years he lived in Norway and is fluent in „Scandinavian“. He loves being around horses and in the outdoors and above all is such a funny guy! Unnur Erla Sveinbjörnsdóttir (my mother) was born in 1973. 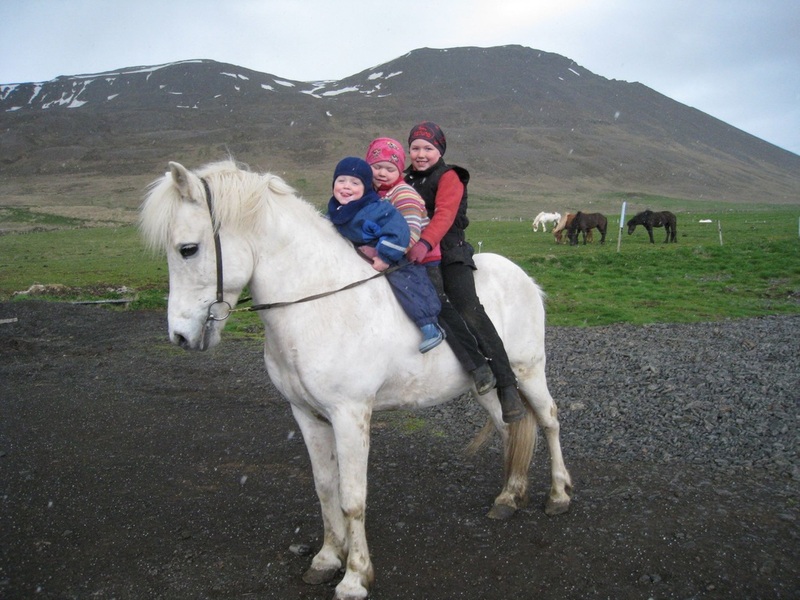 She grew up in Reykjavík but came as a young girl to Skagafjörður, first as a childminder and later to help in farming. Today she works as a Grammar School teacher in Varmahlíð village but loves nothing more than to saddle up a good horse once she is at home! She also loves to go on long trailrides during the summer. Needless to say that mom cooks the best food I have ever tasted! 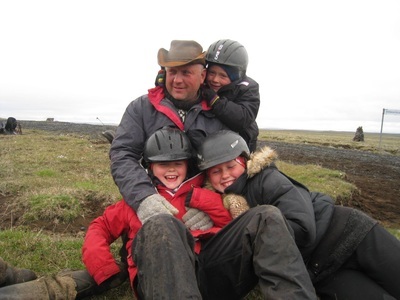 With kind regards to Ingunn for the delightful and very personal introduction to her family. We are convinced that any horse lover would fit right into this cheerful „horse family“ and there is no doubt in our mind that all of their visitors will „come as guests but leave as friends“.